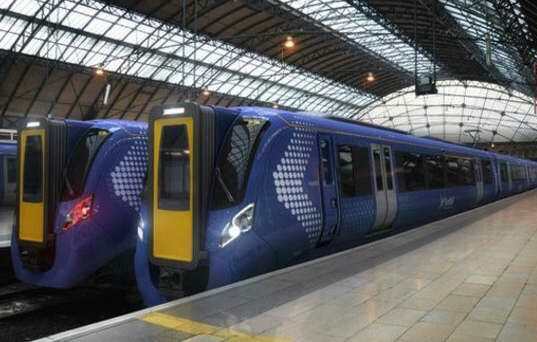 Scotrail is in crisis….according to the mainstream media that is! Scotrail is in crisis?….well at least according to the mainstream media it is! The actual statistical facts don’t support a sudden monumental crisis which merited the blanket coverage but let’s look at how major media in Scotland portrayed the events. What merits a crisis for a start? Is it figures and data? …Well no, in this instance (and many others) it seems, it’s the mainstream media who decide what a crisis is. The actual facts would appear to be less relevant than the story angle or the headline! For logical analysis, a Scotrail crisis would be if service statistics were suddenly plummeting and affecting people getting to work on time or being able to travel at the time when they want? The statistical facts quoted and available on Network Rail don’t back up any recent major deterioration meriting the mass used language of ‘crisis’. A major single train breakdown did happen on Wednesday 16th November which had a knock on effect that day, but that was a one off unforeseeable incident. That isn’t a crisis surely? Most of the mainstream reporting since that event supported the reasoning that we have a serious rail crisis on our hands. Ask yourself this though, where was the crisis on Tuesday 15th November? Did it just mysteriously mushroom in one day on the Wednesday? Did numerous trains break down and numerous events unfold or was it one event with a knock on effect. Even general analysis of the figures confirm that Scotrail performances in many areas exceed those in England and Wales levels regularly, so how is there not a rail crisis in those areas of the UK? The train breakdown on a main line caused serious disruption to many services but that is not something unheard of. It will happen again, in countries all over the world every day, ….things break down, that’s the nature of our technology, it’s not perfect, ask Samsung, Blackberry, Apple, Microsoft etc! A crisis would be if the service is frequently grinding to a halt and people can’t get to where they are going on time. If that were the case then it would surely have been in the news regularly before now? Scotrail has issues and problems which need addressing but there isn’t suddenly a crisis. Trains have been having delays and breakdowns since modern railways began and this is increasing due to the numbers of trains, the mass usage and increasing numbers of commuters in high population areas. Even although figures confirm there is no sudden crisis the volume of negative media forced the Scottish Government onto the back foot simply by the sheer volume and repetitiveness of it. The facts are bypassed, It’s a story, it mushrooms and then it’s a crisis; that seems to be how the major media works for their own most beneficial effect. Scot Gov in turn had to go on the defensive and threaten Scotrail more vigorously than they would have intended and announce steps to improve services etc simply because of the weight of the story and not because of the facts. The figures suggest there is a massive overreaction to the story to mushroom it from one incident into a giant story. What could be the motives, could they be political, ….surely not you say, open mouthed, incredulous! I write that with a giant slice of irony/sarcasm of course, since most will agree much of our major media is partisan to a particular ideology. (Some more than others!!) Main newspaper media has always been partisan but recently there is a large section of everyday Scots who believe BBC Scotland and STV do not report both sides equally. In the political points scoring Game of Thrones, it is Labour/Conservative/UK Unionism/UK Mainstream Media versus Scot Gov/SNP/Independence movement …with the balance decidedly against the latter side! Is it the case now though that our mainstream media is becoming ever more desperate to points score to secure its position and uphold its challenged major role of power? Much of mainstream media is UK union orientated in nature as it has been established from that era, …a break from the establishment seriously affects its future and therefore it will/must do anything to uphold it. Yes, they will let you hear from both sides and claim editorial fairness for all, but analyse the headlines, the rhetoric, the balance and many will argue its massively unbalanced and in some issues such as scotrail incredibly so. In headline terms in the Scotrail story and others, it’s a political point scorer or/and a media profile point scorer. It becomes a bandwagon, and those who seek to exploit it suddenly turn an incident into a major story…it’s called a ‘mass proliferation effect’ if you like….Other newspapers and media then think we better get on this story and suddenly in turn we have every main news bulletin and newspaper running the story for a week. What’s the underlying tactic? Well, the opposition to the Scottish Government, and the mainstream media are fighting the same battle. They seek to maintain the establishment, never before have the traditional parties and the traditional media been under so much threat. The internet and growth of social media has played a massive role in that. The established media and UK politics had for generations been essentially either Labour or Tory but the SNP and nationalist supporters have now landed on the scene to destroy that cosy two pronged alliance. In the past, pre Scottish Parliament, the SNP was merely a minority in voting terms, it needed little addressing as there was no significant shift or challenge to the two party state. The two parties and their media supporters quite merrily toddled along in an every ending derby match. Being out of power was not a disaster because there was always next time and there was always a turn around in government eventually. Even in opposition the media had a steady stream of stories for at least one or two parliaments to challenge the opposition on every decision under the sun with the goal of securing victory next time. It was a cosy two party alliance of mutual dislike but equal requirement. But Bang…along came the NEW BIGGER BOLDER SNP (helped by the internet explosion at the same time) and its not just a fleeting pop in the door, they’ve now consolidated to a point where they are the mainstream party of government in Scotland and they set the tone. Three elections wins in a row, three Scottish Parliamentary largest votes/seats three times in a row and the establishment has been well and truly shaken to its core. Couple that with the massive growth of the aforementioned Internet to their media dominance, and you see why any tactics will be used to try and hold onto some semblance of power or importance. There was a time when a party like the SNP could simply not have challenged electorally because of the UK media structure and the establishment system. It was impossible and the situation would have continued without the internet. There was always a Scottish identity but that was almost totally focused on labour in general election terms. The General Election of 2015 broke that monopoly though and has seen that previous position now destroyed, with the SNP taking 56 of 59 Scottish seats. (Previously they were between 3 to 6 MP’s maximum from 1979 – 2010 respectively). It does not look like this is a fleeting move either that will return to the pre Scottish Parliament days. The SNP electoral position has been consolidated in three Scottish Parliaments which will total 14 years in govt., and current polls say that will continue into the next parliament. It would require massive swings to change that position. The 2014 independence referendum may not have been won but it opened up a cataclysmic reaction in terms of Scottish political interaction by the general population. Any followers of Scottish Media will see there is now a vibrant and massive debate ongoing constantly about independence and the effects of brexit. That is not going away anywhere soon. Statistical analysis of demographics will also show that the majority of people who support independence and the SNP increases significantly in the lower age groups. It stands to reason that these voters will be consolidated by new voters if following a similar pattern. Add in the effects of Scotland voting in a major contrast to England’s Brexit and you see that the power house of media and dominant parties has been well and truly challenged in Scotland…and they don’t like it one little bit. We have already seen many damaging and sensationalist headlines this year around brexit and the American Election. Watch out for more and increasing amounts of the same when EU Article 50 is enacted and a Scottish Independence referendum becomes inevitable. Brexit has not even hit the running track yet, and look at the stories…you think you have seen some vitriolic language?….you haven’t seen nothing yet. When the two sides emerge from the courts and the formal course of action is enacted next year watch out for hyperbole not just in Westminster but in the media as they build up with the calvary. Add to that the Scottish angle where brexit is fuelling up the independence debate and a highly likely new referendum at some point, and you have a powder keg of media madness just ripe for exploding. In the build up to the last referendum the established parties and media could not foresee how a yes vote could happen as it started at low levels of support. In the last few months of the Indy Ref. 2014 though, the ‘establishment’ had to pull out all the stops when the vote managed to get to around the high 40% mark. They only survived by the skin of their teeth, which potentIally means next time they will need to pull out all the stops and they wont be shy in doing so. Could it be we are at the start of the phoney war with this Scotrail story warming us all up for the big event when brexit and Indy comes on the table for real…set up the barricades, …you think Scotrail was a crisis, you better strap yourself in because it will get very dirty!